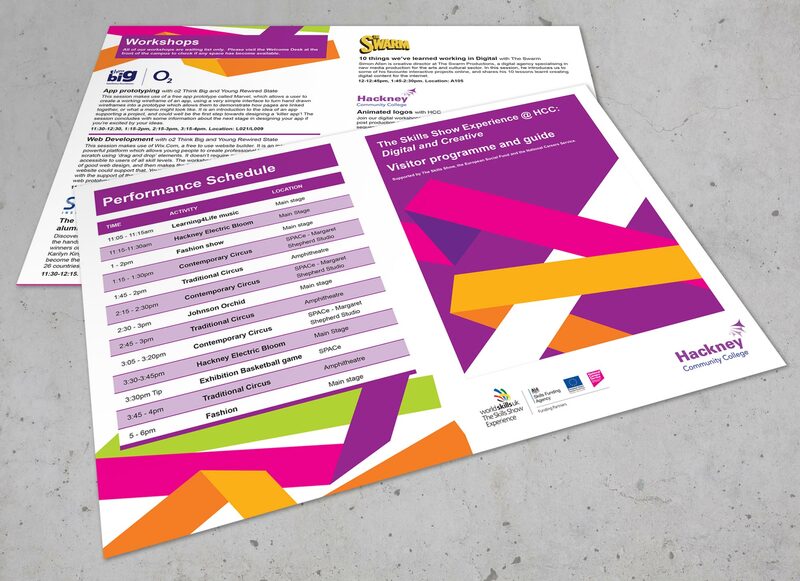 Design and artwork for programme and leaflets. 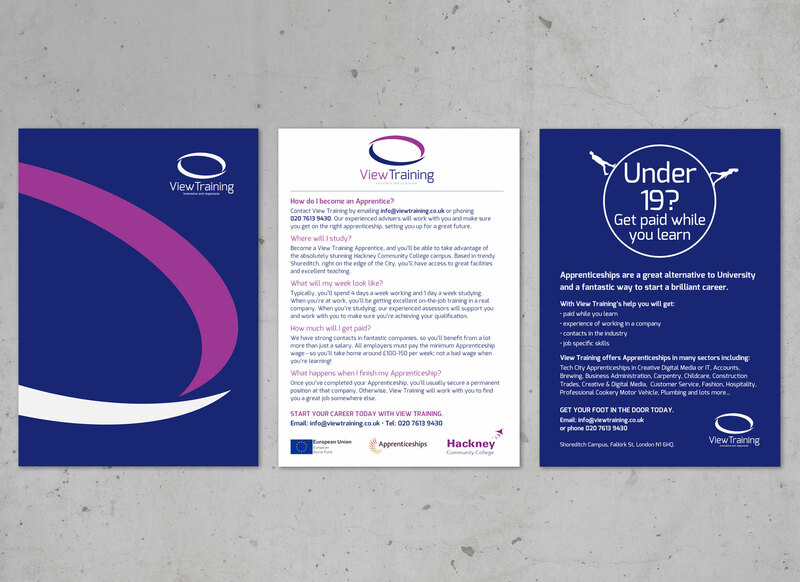 We have profuced a selection of work for Hackney Community College. These include Open Day programmes, flyers and information leaflets for students. Programme for summer Open Day event. Information leaflet about Apprentice Training.